The official announcement came from AKC on July 18, 2011 the Russell Terrier will be accepted into the AKC studbooks effective June 1, 2012 and moving into group effective June 27, 2012 with the Standard submitted by the ARTC, Inc. as the official standard for the breed. The stud books will remain open until July 1, 2017. The Russell Terrier was approved to compete in AKC Companion Events (Obedience, Agility, Tracking and Rally) and Earthdog Events on January 1st 2007 and started competing in conformation through the Misc Group in January 2010. 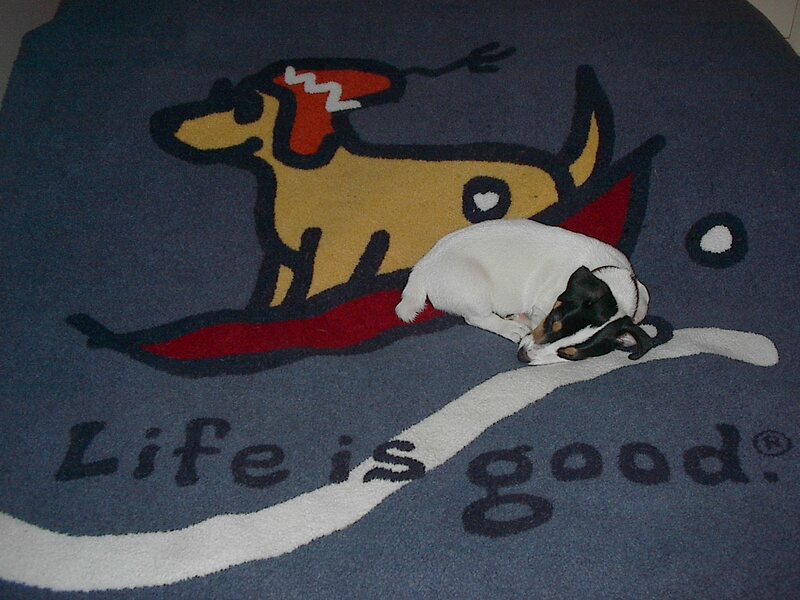 The Russell Terrier was accepted into AKC's Foundation Stock Service® (FSS) on October 11, 2005. This service is provided by the AKC to allow approved purebred breeds to continue to develop while providing them with the security of a reliable and reputable avenue to maintain their records. Breeds in FSS® are not eligible for AKC conformation events until they receive full AKC status. Full AKC status can take quite a number of years to accomplish. Click here for answers to common FSS questions. 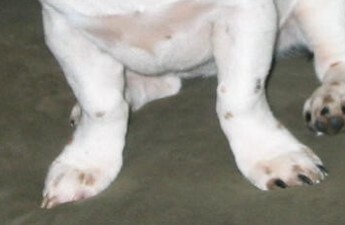 More than just unsightly, crooked front legs (fiddle front, queen anne front, bowed front) are a hereditary disease (angular limb deformity) caused by early closure of growth plates in the leg bones. Metaphyseal Chondrodysplasias are a group of conditions in which abnormalities of the metaphyses predominate with an essentially normal skull and trunk (not a classic dwarfism issue). These animals often have an increase in joint laxity and are more likely to have medial patellar luxation and elbow luxation. Angular limb deformities can lead to pain and suffering due to arthritis and soft tissue stresses. Corrective surgery often yields poor results and can lead to more problems. Affected animals can have difficultly leading the life of a happy pet. They cannot participate easily in performance events or even go for long walks. It is a sad state to see in an active breed and severe cases should be avoided at all costs! 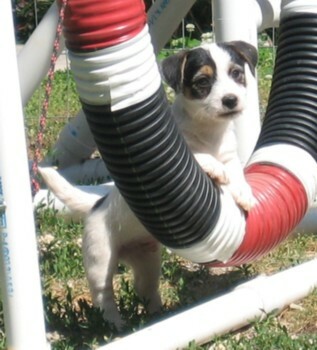 The FCI Jack Russell Terrier/AKC FSS Russell Terrier is a 10-12 inch tall earthworking terrier. 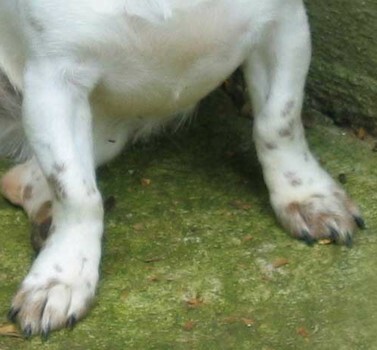 In addition to the height standard, the key features that differentiate this breed from the Parson Russell Terrier and JRTCA Jack Russell Terrier are in it's proportions. It is slightly longer than tall (a bit rectangular) and the leg to body ratio is 50:50 (the leg from the elbow to the ground is half of the overall height). 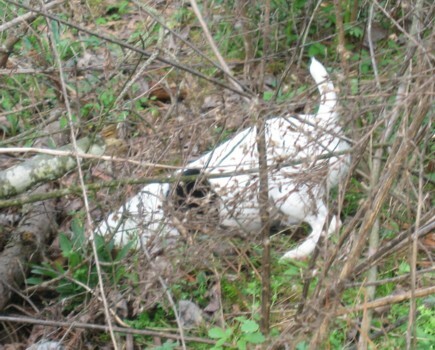 The Jack Russell Terrier's original purpose was to enter the earth and bolt the fox during the hunt but, as time has gone on, the JRT has also been successful when used to unearth other vermin such as groundhog, opossum, and raccoon. The JRT works the quarry underground (barking and nipping) to either flush it out of the tunnel or hold it in place until the hunter can dig down for dispatch. The JRT was not created to be a killing breed. It's purpose was as a baying terrier. Of course, all terrier breeds are capable of eliminating small vermin such as rats and mice on their own but it does not require a "hard" dog to do so. Health testing, education, and good record keeping are currently the best tools for reducing diseases within any breed. Understanding the inheritance pattern for any given genetic disease is important for trying to avoid these issues. This information only comes to those that seek it out. For those health issues whose inheritance pattern are not fully understood, donating money, samples (blood or DNA), and pedigrees to research are the best ways that people who care about this breed can help. Please visit the JRT Research Foundation for further information. 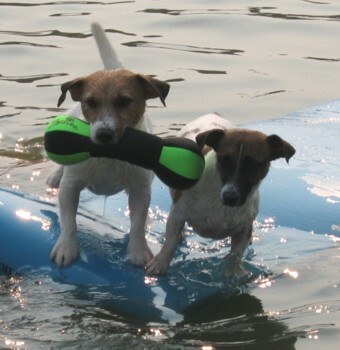 The JRT is a hunting dog bred to think on it's own so it makes a very intelligent companion. Add in it's convenient size and athletic ability and you have the perfect dog for anything you might want to accomplish. 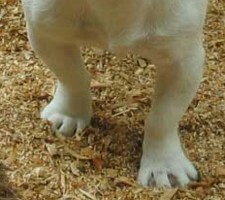 JRTs are great in obedience, rally, flyball, and agility. They make good therapy dogs, drug and bomb sniffing dogs, and tracking dogs. They can swim, jump, climb, run, and dive right along side their owners. Their desire to be a part of their human pack is strong so they make excellent pets as long as they are given training and direction. Even though they can maintain a high activity level, you would be surprised how much of a couch potato that they can be. 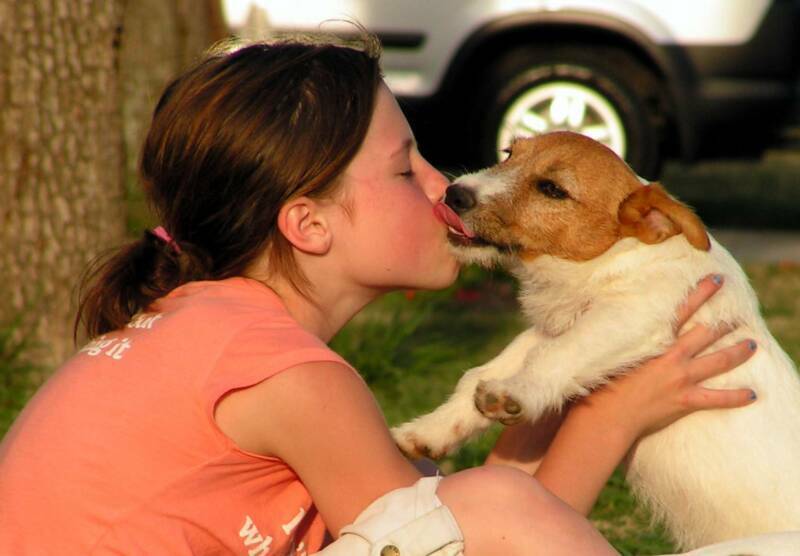 The Jack Russell Terrier has as diverse a genetic background as they come. This is one reason why there are many different styles within the same breed and there can be a wide difference in look even within the same litter. 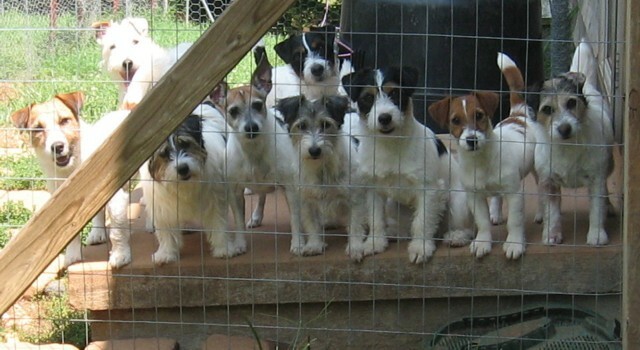 Genetic diversity has made the JRT a relatively healthy breed. Of course, no species on Earth is created totally free of genetic disease. 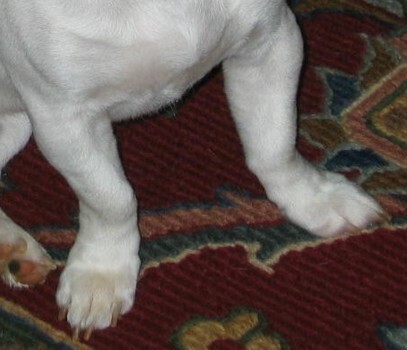 The main health issues JRT breeders and owners need to be aware of are: deafness, primary lens luxation, hereditary cataracts, patellar luxation, tibiotarsal hyperextension (slipped hocks), legg-calve-perthes, epilepsy, angular limb deformities, and immune mediated diseases (sterility, demodex, vasculitis, allergies, hypothyroidism, lupus, etc.). It would be ignorant to make sweeping negative generalizations about any breed. Usually these sort of comments are made regarding disposition or health. There will always be intrabreed differences depending on the vision of the breeder and how they develop their own line. The majority of those who publically make derogatory comments about particular breeds, lines, or styles do so for their own egotistical and monetary gain so negative information must be taken with a grain of salt. Do your research and come to your own conclusions before choosing a particular breed or breeder. Early socialization plays a vital role in the well being of all species. It doesn't, however, take the place of sound genetic choices. You cannot make a silk purse out of a sow's ear and temperament is heritable. A pup given every advantage from birth that comes from temperamentally unsound parents will never reach the potential of a puppy with the same upbringing (or even less ideal) that comes from temperamentally sound parents. This is why breeders need to hold disposition as one of the top priorities in their breeding program. In September of 2009, a DNA test for the genetic eye disease, primary lens luxation, was made available through the Orthopedic Foundation for Animals. This is currently the only DNA test available in the JRT/RT for a genetic disorder. What a huge breakthrough this will be in preventing the occurence of such an expensive and debilitating late onset disease! Click here to order tests.